On October 17, Headquarters Forces Command (HQ FORCOMD) held the Australian Army Wargaming Conference at Victoria Barracks, Sydney. 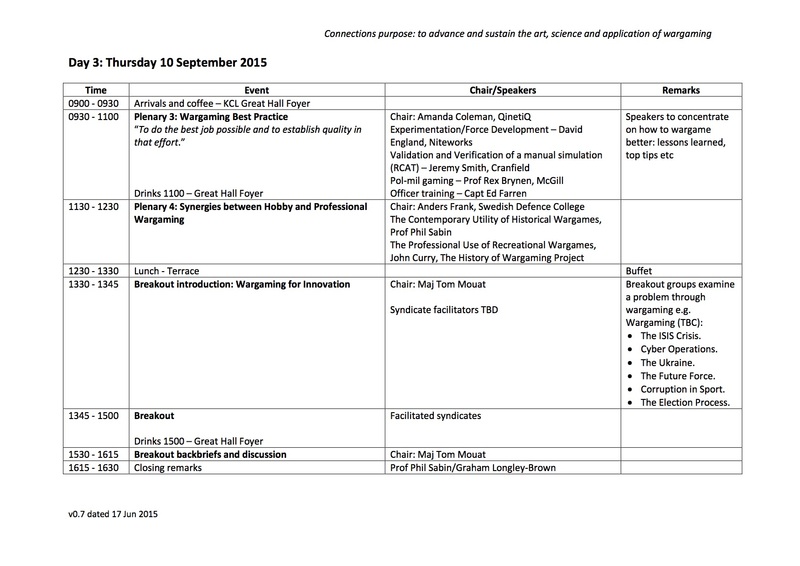 Presentations from that conference can now be seen online via The Cove (the Australian Army’s open-access professional development website) and YouTube. Opening address by MAJGEN Mick Krause. MAJGEN Krause (himself a hobby wargamer) stresses the importance of genuine competition—something that wargaming can offer. The “essence of tactics,” he suggested, is creativity—but assessment for promotion tends to emphasize binary yes/no, pass/fail measurements. He expressed concern that most wargames currently in use in the Australian Army tend to emphasize attrition, and underrepresent the human factors that shape military outcomes. Consequence, they fail to teach the “very essence of our profession.” Wargaming helps players to visualize tactics and experience some of the cognitive stress of warfare. Wargames need to be realistic, easy to use (if they are to be used, and used repeatedly), and teach good tactics (demonstrating combined arms effects in the battle space). It’s an excellent and inspiring presentation, and there is useful discussion in the Q&A period too. LTCOL Bosio discussed how wargaming can contribute to decision-making. He focuses on three issues: the breadth of available games, why people game, and how humans make decisions. Drawing upon one typology of player types—”Spike” (who loves to win), “Timmy” (who enjoys the game narrative), and “Johnny” (the contrarian)—he goes on to discuss how gaming can contribute to the development of underlying cognitive skills and heuristics. Gaming against a live opponent may contribute to better cost/benefit analysis. I particularly enjoyed his discussion of why “Timmy” skills are important—namely that campaigns are a “story” of lethal and non-lethal effects that must be combined to alter an opponent’s perceptions and will. Timmy-types may be able to rise above functional specializations to better understand this broader picture. PAXsim’s very own ISIS CRISIS, now available as part of the Matrix Game Construction Kit (MaGCK), gets a mention too. SGT Tyron Casey introduces the Australian Defence Force Wargaming Association (ADFWGA). SGT Casey offered an overview of the Australian Defence Force Wargaming Association, which was first established in 2009/10 by military personnel who enjoy (hobby) wargaming. Today it has some 270 members. The ADFWA promotes hobby wargaming as way of developing tactically-relevant skills, organizes events, and raises funds for charity. ADFWA also encourages the chain-of-command to support wargaming activities by their personnel. I’m not sure if it was mentioned at the conference, but this is probably a good time to also remind any Australian readers that the Connections Oz 2017 wargaming conference will be held on 11-13 December at the University of Melbourne. I was fortunate to attend a couple of years ago, and had a great time. Connections Australia has a new website. 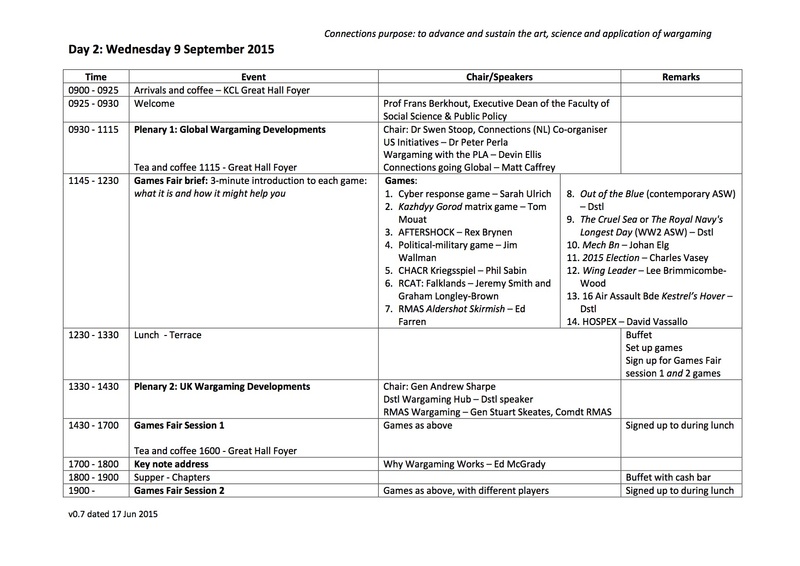 And, as their very first post, they have feedback from the Connections Oz 2015 interdisciplinary wargaming conference (which PAXsims covered here). 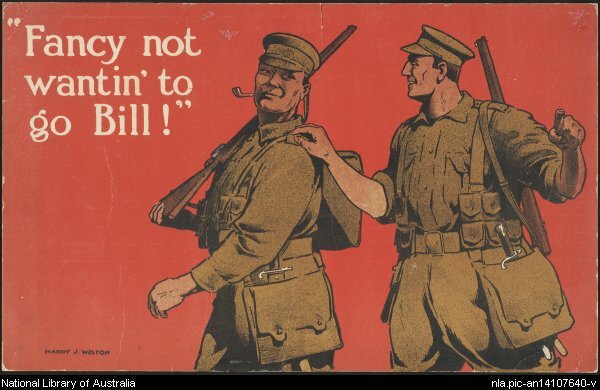 If you’re an Australian wargamer, or might otherwise attend Connections Oz 2016, drop by and let them know what you would like to see at the next conference. 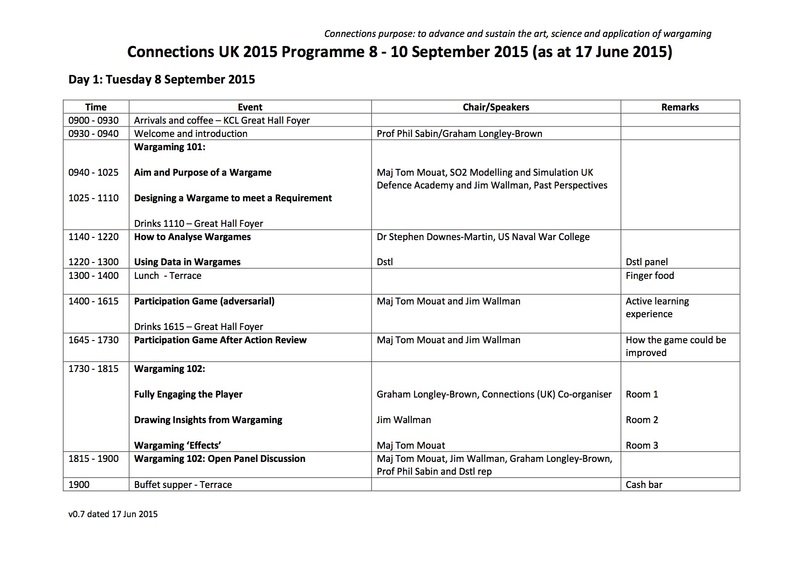 PAXsims is pleased to present an update on the various forthcoming Connections interdisciplinary wargaming conferences to be held around the world this year. 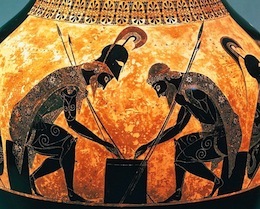 This year’s Connections interdisciplinary wargaming conference—the original version, and still the largest—will be held at National Defense University in Washington DC. The updated website (including registration) can be found here. Held annually since 1993, the mission of Connections is to advance and preserve the art, science, and application of wargaming. The conference works each year to facilitate a useful exchange information on achievements, best practices and needs of all elements of the field of wargaming, from military, to commercial, to academic applications. PAXsims reports on last year’s conference can be found here, here, here, and here. The third annual Connections UK conference will be held at King’s College London. The current version of the programme is below. For updated details and registration, visit the conference website. PAXsims reports on last year’s conference can be found here and here. The Connections Netherlands conferences is sponsored by SAGANET ( Simulation And Gaming Association: The Netherlands), and will be held at Fort Vechten near Utrecht. You’ll find full details in this brochure. Australia’s second annual Connections wargaming conference will be held again at the University of Melbourne. Details can be found here. Due to the success of the Connections conference last year in the UK and the many successful years of the US original, we have decided to run a similar conference/ workshop here in Australia. It will be held in the Interaction Design Lab at the University of Melbourne 8-9 December 2014. We are seeking expressions of interest from potential attendees, particularly anyone with something to present. The format will be four 90 minute sessions per day with 2-3 speakers and time for open discussion on each topic. We would like to have a broad range of participants from the military, emergency management, law enforcement, business and academia. Anyone interested in attending is asked to contact Todd Mason or Mariana Zafeirakopoulos with a proposal. There are many cafes around the University campus and in nearby Carlton for lunch. A conference dinner will be held on the Monday evening (details to be confirmed).